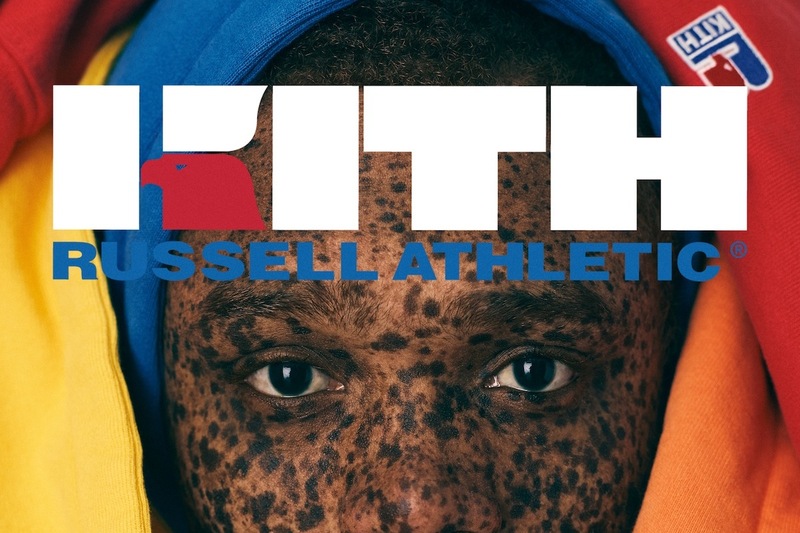 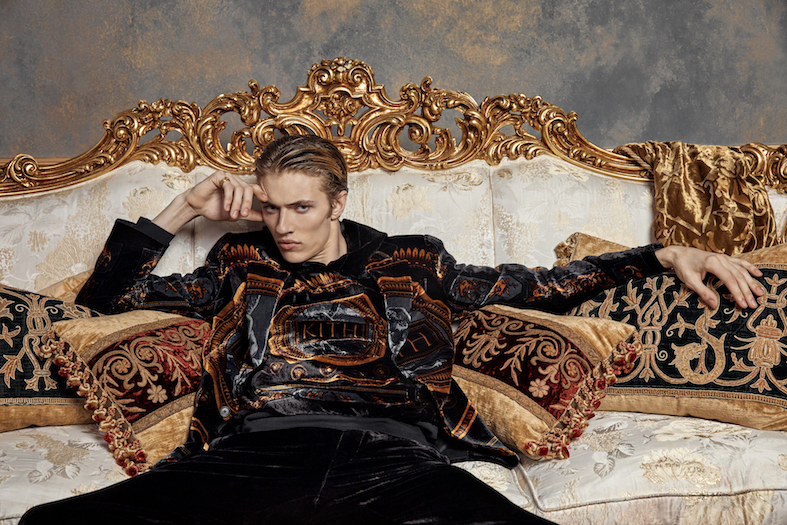 While the collection debuted during last NYFW, Kith x Versace has just released its first campaign starring supermodels Lucky Blue Smith and Bella Hadid (who is featured in its women’s campaign). 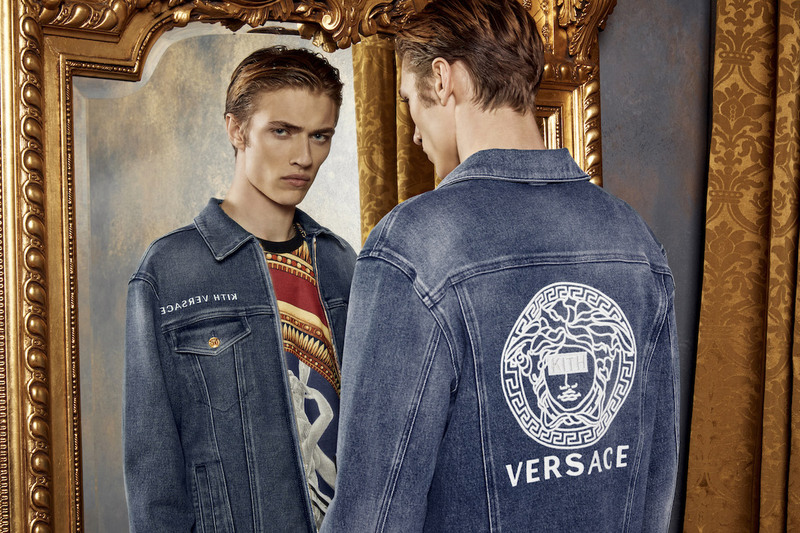 Both models have worked with each designer before, and this collaboration marks the first large-scale luxury partnership for the New York-based streetwear label and Versace’s first mass collaboration since it worked with H&M back in 2011. 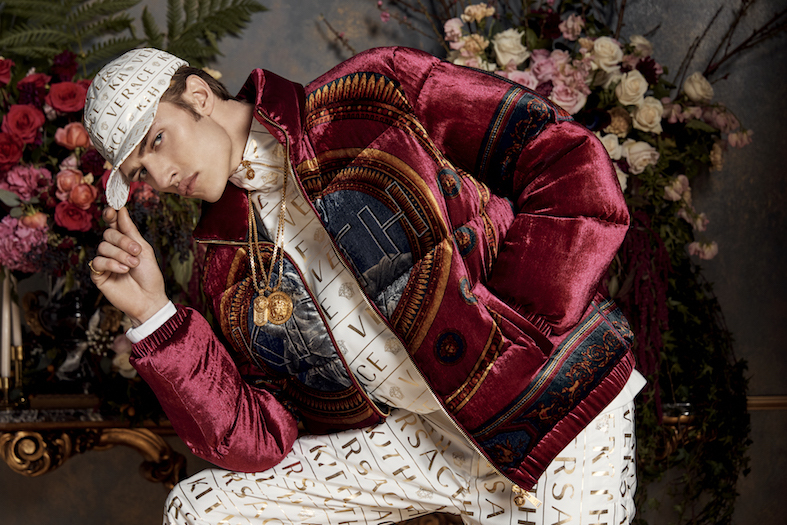 Items from the collection combine the signature opulence of Versace (including the brand’s classic colors, silhouettes, and loud prints) with Kith’s unique city edge, resulting in over 100 styles. 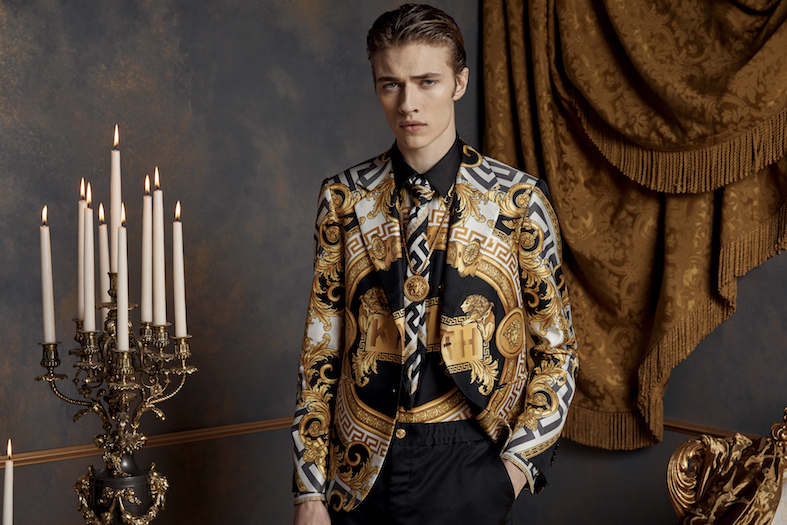 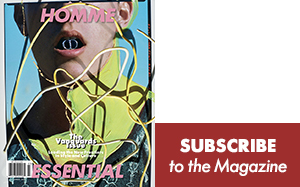 The men’s collection includes outerwear (including camel hair topcoats and velour puffer jackets), formalwear (silk blazers), sportswear, accessories, and footwear. 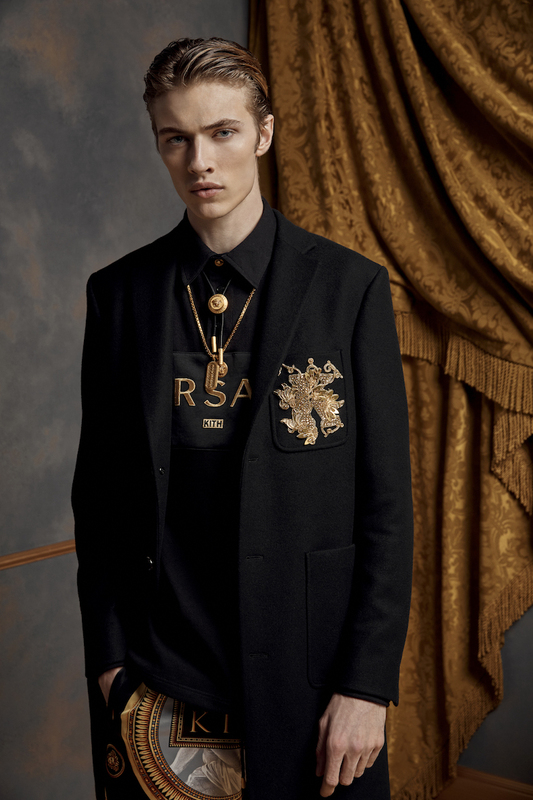 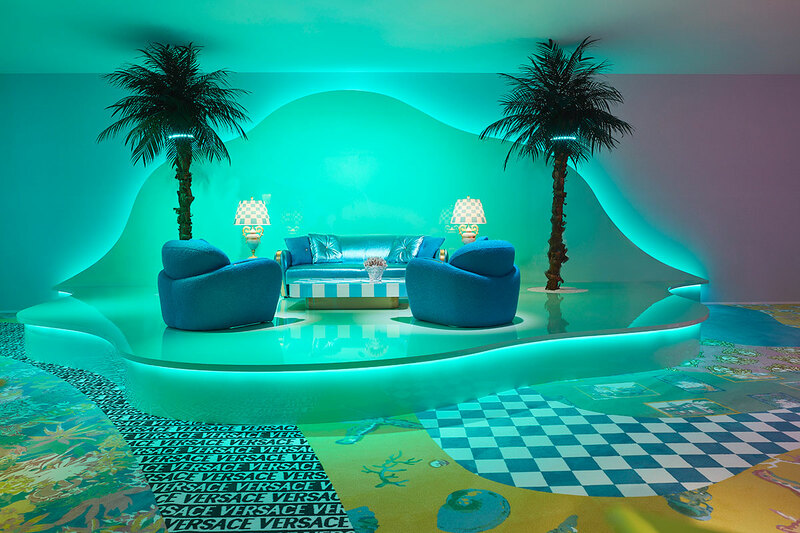 The collection also marks the first time in history that the quintessential Medusa logo has been redesigned. 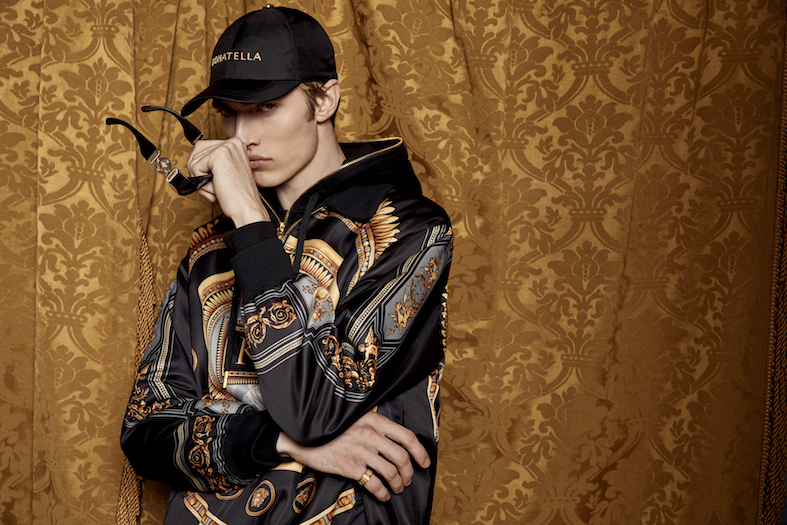 KITH x Versace will be available online on February 15th, and at KITH and Versace flagship stores worldwide.